Sensational card Sassy. I absolutely adore it. You are so clever and talented. This is fabulous Sassy, I love it!!! 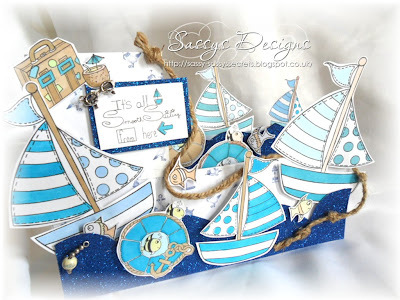 gorgeous card Sassy, love the effect of all the boats on the waves! WOW! This is amazing Sassy. 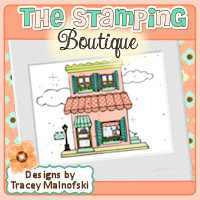 I really love the design and the way you have used the images is brilliant. Fab detailing too. Oh my word what a masterpiece. Totally original and brilliant. Hi Sassy, how are you ?? Oh WOW!! what a fab design Sassy! I love all those boats and the scrummy papers and embellies… it's a wonderful card! A gorgeous card. 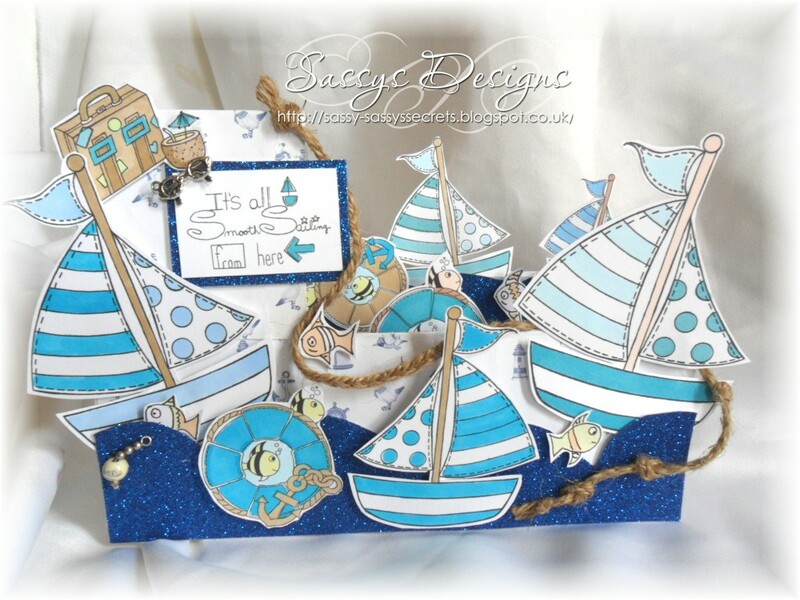 I love the boats and the glittery waves are fab. Great card! Love your design.